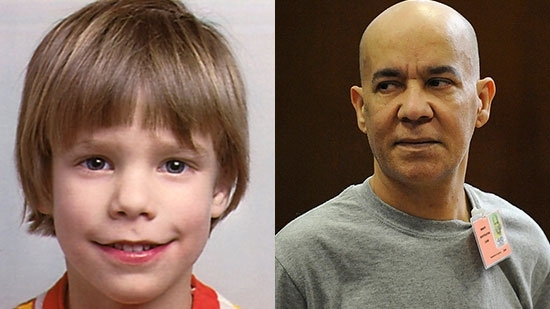 A Maple Shade, NJ, man was convicted today of murder almost 38 years after 6-year-old Etan Patz went missing on his way to the bus stop in New York City. 56-year-old Pedro Hernandez worked as a store clerk in Etan's Manhattan neighborhood back in 1979. He was not a suspect until 2012. He told police that he offered Etan a soda, choked him, and placed him in a box by the curb for trash pickup while still alive. In 2015, a jury deadlocked after 18 days of deliberation. This jury was out for 9 days before reaching it's guilty verdict. Etan was one of the first children to be pictured on a milk carton. The day he disappeared is designated National Missing Children’s Day. The director of the Secret Service, Joe Clancy, announced that he will step down next month. 61-year-old Clancy is a Havertown native. He attended Archbishop Carroll High School and Villanova University. President Obama appointed him to the post following the resignation of former director Julia Pierson in 2014. Clancey left a private sector job at Comcast and took over the Secret Service amid a number scandals. He had initially joined the service in 1984 and retired in 2011 as head of the presidential detail. President Trump will now be tasked with appointing a new director. The Wawa located at 721 Naamans Creek Road in Chadds Ford, Concord Township is set to reopen on Thursday, February 16th after renovations. It has been closed since early January to prepare the location to be the first Wawa store in the area to offer restaurant-style seating and beer sales. A ceremony and ribbon cutting will be held at 9 a.m. The store will now feature a walk in beer cooler, and a single-service and six-pack section for beer sales. The company does not have any immediate plans to expand beer sales to other locations. The store is taking advantage of new relaxed licensing laws from the PLCB.